Whoa, right? It’s a pretty outlandish way to start, but I mean exactly what you think I mean. Don’t prepare, at least not for the first time. Take the test early and go into it without crazy expectations or scores or prep tips in mind. You’ll get an honest feel for the structure of the test and the types of questions. Then, when you get your scores back, you can come up with a game plan for prep. This allows you to personalize it for you, rather than something that’s one size fits all. Whether it’s taking your scores to a tutor or buying a study book, having taken the test once before will make a difference. …the night before. Sorry, I sort of tricked you on that one. I know you were going to call your mom and say you read not to study, but that’s not true. Definitely study, especially after the first time. You’ll be able to see what your trouble spots are and focus on those sections. You can buy a prep book and work through it according to where you hope to see improvement. What I’m suggesting is that the night prior, or even the week prior, take a much-needed break. At that point cramming isn’t going to do you any good, it may confuse you. Put in the work beforehand and use the final moments to relax. This seems sort of irrelevant, where you take the test, but it’s not. If you choose a school thirty minutes away with a campus that is completely unknown to you, it’s going to add unnecessary stress on the day. Pick a school you are familiar with. That means signing up early. If you log in to sign up hours before the deadline, chances are you won’t have many options. 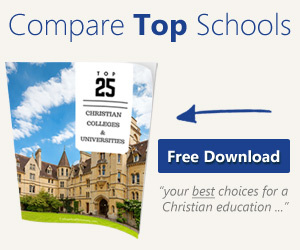 Sign up early so you’ll have your pick of schools. If your school is an option, that’s the best bet. It’s a comfortable environment and you’ll know where to park (and where the least crowded bathrooms are). If not, pick another one nearby. Be sure to scout it out. There’s nothing worse than searching frantically for the classroom and showing up frazzled, or late. Remember those tests in elementary school where the room mom brought goldfish for you to snack on? That mom won’t be at the SAT. There’s no snack bar and no room mom. It’s up to you to pack the goodies. Be sure to pack food. I’d rank it on the level of importance just below a calculator. There’s nothing worse than taking a test starving. I remember leaving the SAT and thinking, that was the longest thing ever. So imagine the longest thing ever without food? Unbearable. Plus, if your stomach’s growling it’s a distraction to both you and your neighbor. So you didn’t get the scores you want? Shake it off. Play some Taylor Swift and pump yourself up. If you go into the second round hung up on the first, it’s going to affect your scores. Think of the first test as the trial run. The best part about these tests is that you can take them again. Schools look at your best scores. Put in the work to improve your scores, and shake off the past ones. If this test doesn’t go your way? There’s always next time. 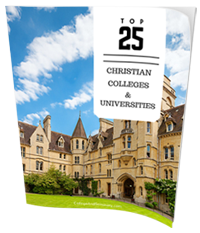 Is Christian College Worth the Money?